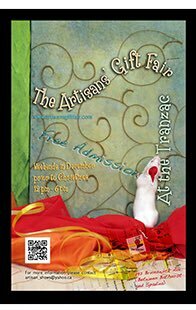 Every year during the holiday season, The Artisans' Gift Fair hosts a fine collection of affordable one-of-a-kind gift products. Vendors gather at the Tranzac, located in the Annex at Bloor and Brunswick, displaying quality handcrafted gifts that range from funky contemporary to a sophisticated classic style. Whether you're buying for a friend or loved one, or buying for yourself, you're guaranteed to find a treasure. Repeats every week until Sun Dec 23 2018 .